Intelsat awarded in January 2018 a contract to build the Galaxy 30 Ku- and Ka-band communications satellite to Orbital ATK, now Northrop Grumman Innovation Systems (NGIS). 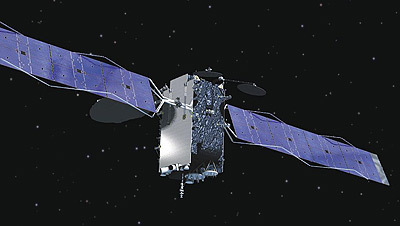 This satellite will be based on the flight-proven GEOStar-2 platform. Intelsat General will design, develop and host the WAAS-GEO 7 payload and then integrate it into the Galaxy 30 satellite being built by Orbital ATK. Galaxy 30 will share the upper berth of an Ariane-5ECA rocket with MEV 2, while a third yet unnamed payload flies in the lower berth. The Galaxy 30 satellite is set for launch in the first half of 2020 and will be located at 125 degrees west. Galaxy 30 - 2020 Ko ELA-3 Ariane-5ECA with MEV 2, ?